Burt’s Bees 6-Piece Head to Toe Gift Set only $5.20 Shipped! 1. Sign up for your $10 off $10 coupon code from Vitacost. It should arrive in your email inbox within 15-20 minutes. 2. Go to Vitacost and add the Burt’s Bees 6-Piece Head to Toe Gift Set to your cart. 3. Your total should be $10.21 plus $4.99 shipping. Use the $10 off $10 coupon code making your total just $5.20, including shipping. Bounce takes Facebook interaction to a whole new level with a new initiative called Bounce It Off Millions, and they want you to get involved. First, Bounce asked people to make a choice between sheets or bar, and now Bounce is offering a chance to have millions of Facebook users help you decide on a choice of your own. Still stuck on the final two baby names? Need advice on whether to go to Mexico or the Maldives for your honeymoon? How would it feel to have millions help you decide? Go to facebook.com/bounce, click on "Bounce It Off Millions” and submit a choice or decision that you’re making in your life. Your question will be turned into a poll, and tens of thousands of Bounce fanatics can lend their opinion, so you’ll have thousands helping you make a guided choice. Bounce will choose 4 of the most interesting polls to be featured in a facebook ad, so your question or choice could go out to the entire facebook world, inviting 150 million+ Facebook users to help you make a choice. Imagine having that many people decide between your two favorite names for an expected baby! Why I want to be in the Kindle Bzz Campaign. I have been a Bzz Agent since it first started online years ago. I LOVE being a Bzz Agent! My family and friends love me being a Bzz Agent because they get to learn about new things and get cool coupons along the way. Bzz Agent has a new campaign coming up for the Kindle. OMG!!! I would LOVE to be in that Bzz campaign! I would talk about the Kindle and Bzz Agent to everyone that I know and people that I don't know. I'm on the PTA board at my kids school. The next meeting that I have the Kindle I will totally talk all about it and let everyone know about Bzz Agent as well. When I drop my kids off at school and pick them up. I stand in front of the school talking to all of the other parents. I would take the Kindle with me and talk to them about it and all about Bzz Agent as well. My two Facebook pages that I have, one for personal with 229 friends and one for my craft business with 2,700 friends. I would talk to them all about the Kindle and link the chats back to Bzz Agent. My Twitter page, I have 27 followers. They will all know about the Kindle and Bzz Agent. My blog that has 61 followers. Well, they are seeing this blog post now and they will see many more if I get into the Kindle Bzz campaign. 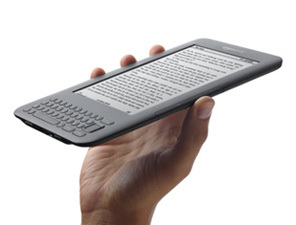 Family and friends, will hear all about the Kindle and Bzz Agent. Random strangers at the stores will hear all about it. Cross walking guards will hear all about it. Please Bzz Agent, let me be in the Kindle campaign! If you haven't heard about Bzz Agent, please ask me. I would love to tell you all about it! Yep I'm sitting here at the sewing machine working on Breast Cancer Awareness monkeys. I started to get bored and just had to start surfing online. And look what I found! I have always been a huge fan of Ashley over at lil blue boo. She sews some of the cutest outfits for her daughter. She makes amazing patterns as well. I've been a lurker for a few years now reading her blog off and on. I love it when she makes a blog posting about lets her daughter paint. She is so talented too! (Must get it from her Mom.) Tonight I clicked on her blog and was just blown away. All that I can say is WOW! This is the most amazing thing that I've seen her post yet. Please click on the link below. You'll enjoy it I'm sure. 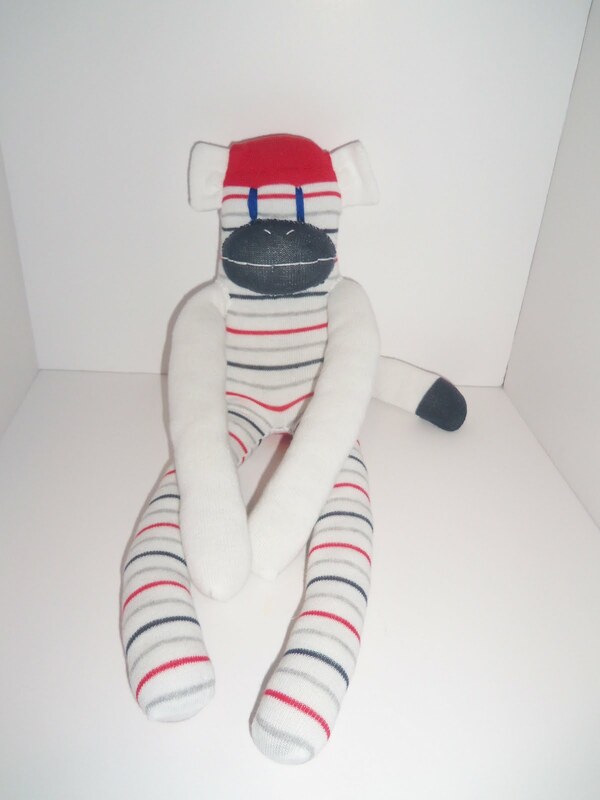 I have been so busy making other monkeys that I've really missed making sock monkeys. So, I decided that I'm going to make at least one sock monkey each week and post it on my blog on Sundays. It will also go up on my Etsy page for sale the day that I post the blog. I'm going to try to figure out how to add inlinks to my blog so that you can all link pictures of sock monkeys that you have made as well. Won't that be fun!! Here's the sock monkey that I made for today. I thought red, white and blue would be fitting for Labor Day. And the anniversary of 9/11. You can purchase the monkey here. 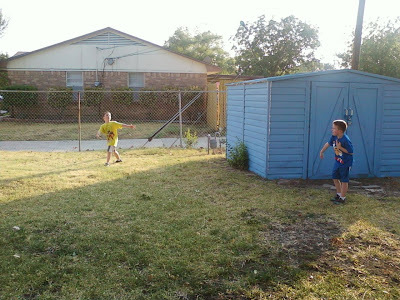 I have added my blog to the following blog hops. Gosh, I get really nervous when I think about my little girl growing up and moving out into her own place. It seems like just yesterday she was 10 years old but now she can drive and is about to graduate college and get her own place! Her mother and I bought a house for her to move into so she wouldn’t have to worry about rent those first few years and I think she’s really grateful. It’s in a great part of town and we got her a ALLhomesecurity.com/ security system so I wouldn’t be the anxious father, at least anymore than I already am. She tells me I’m smothering her and I need to let her go but it’s tough when you raise a kid for eighteen years and then all of a sudden they become an adult! I guess I better get used to it since I’ve got 3 more young ones behind her and they’re all going to go through the exact same thing. I know they’re dreading my reaction to it! Easy way to hem blue jeans, pants or shorts.